Knox-Henderson is a bridge, both literally and figuratively, that links some of the most vibrant urban neighborhoods in the city of Dallas. 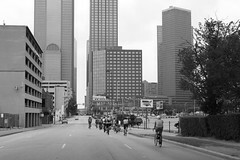 Uptown, the M Streets, and East Dallas are teeming with life and spirit but remain frustratingly disconnected by the barriers of an automobile-centric infrastructure. We believe that the time has come for a truly inclusive approach to transportation – one that affords us all the freedom to choose how we travel, both within and between our neighborhoods. Bicycling may not always be the best solution for all people or all trips, but what is increasingly evident is that the presence of a thriving bicycling culture is among the strongest indicators of a community’s safety and vitality. The mission of Bike Friendly Knox-Henderson is to engage local residents, businesses, and city leaders in an effort to create a more accommodating environment for bicyclists. Ultimately, we feel that we will have achieved success when no matter if you arrive by car, by bike, or by foot, you feel welcome. I’m all in favor of most of your efforts, but it’s kind of disingenuous to not reveal more about who you are and who you’re connected with. I’m a cycling coach and I’ve lived near Knox St. since 2000, was on the board of the Katy, and have been promoting bike ed since 2000. 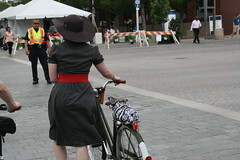 You think you could post up some of BikeDFW’s upcoming bike ed classes??? Bike Friendly Knox-Henderson in not connected with any group. We’re just a bunch of friends who live in Uptown and East Dallas and feel that our neighborhoods are not living up to their full potential because of a lack of decent bicycle and pedestrian amenities. We’re not opposed to bicycle education, but we simply feel that when a city is designed well, bicycling (and walking) come naturally – no instructions required. We have seen this with our own eyes while visiting other cities, and see no reason why Dallas should not join the ranks of the most bike-friendly cities around the world. 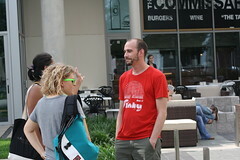 As a follow-up, we also wanted to mention we posted a link to the BikeDFW Bike Ed classes on our Research page in response to your first comment on our Contact page. Please check out our response to your comment and our Research page as well. different rider groups in the DFW area. I just relocated back to Dallas from Denver and am living in Deep Ellum. 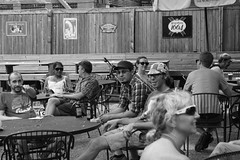 During the late spring and summer months back in Denver many bike riders get together for a bike pub crawl in downtown area. Over the last few years it has erupted into this huge event with themes, costumes, and a secret route each week. similar “cruiser” ride here and was wondering if Knox-Henderson group has something similar. I see the flyer for a Spring ride March 21st. Is that just for one day or will it be a spring long ride each Saturday? We’re glad you found us too! 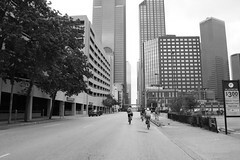 It’s an exciting time to be biking in Dallas. 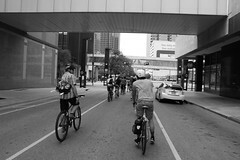 There are many group rides in and around Dallas. Some get together on a regular basis, while others organize occasional events. The best way to keep track of them all is to join their various facebook and twitter pages. 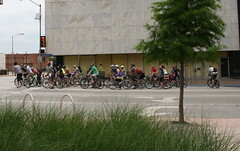 Pedallas.com has a handy calendar of group rides at the very bottom right of their main page. Hope to see you on the 21st!